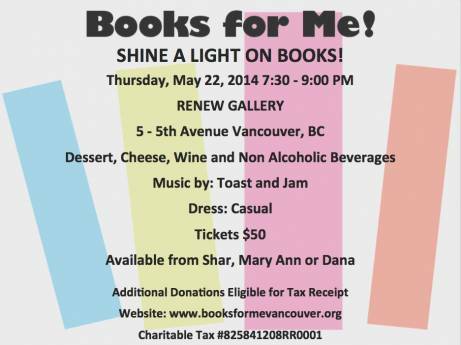 We are so excited to be a part of this wonderful event put on by BOOKS FOR ME! Literacy Foundation. Books for Me! is a non-profit Society and a registered charity based in Vancouver. For many families, buying children’s books just isn’t possible. Books for Me! provides children from these families an opportunity to build their own libraries for free. This incredible program comes to life as children choose their own book to take home and keep. Books for Me! collects books from schools, families, community and business organizations and distributes these books to children who need them. All of us here at RENEW know how important books and reading are during childhood. When I was young I remember hoarding my favourite novels and picture books underneath my bed and reading them well into the night by the light of a flashlight. Books encourage imagination, personal growth, and can fill a child with knowledge in the most magical of ways. 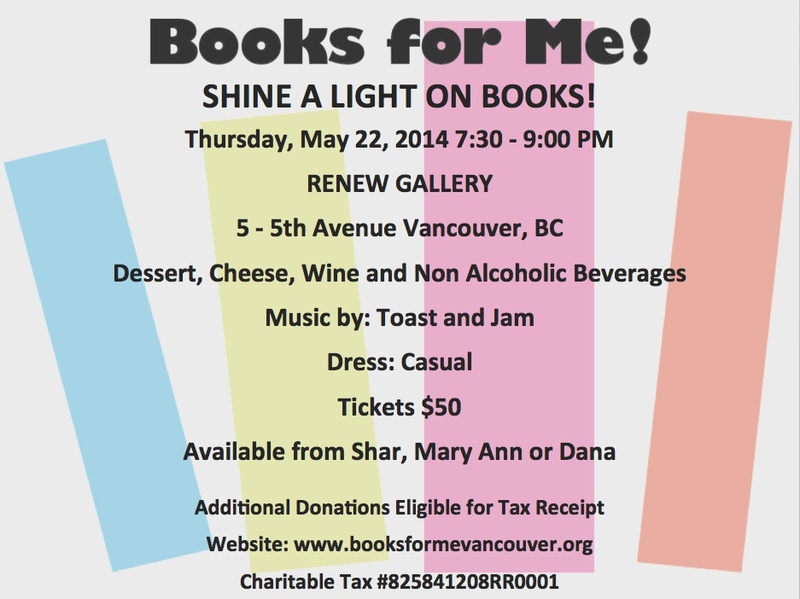 Please consider being a part of this event; hosted here, at RENEW Gallery.